This year, the Effie Awards celebrated its 10th anniversary in Ukraine. 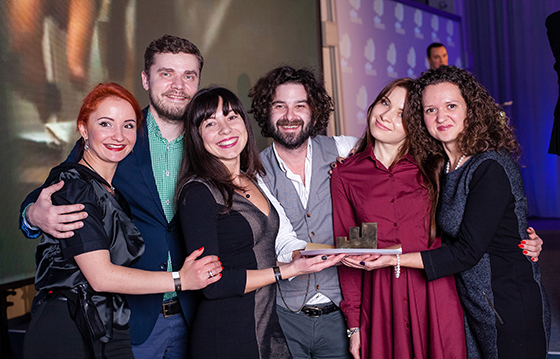 The Effie Awards Ukraine Gala is organized by the All-Ukrainian Advertising Coalition. The 2015 Gala was held on December 4 at the Ukrainian Chamber of Commerce and Industry. The event was attended by over six hundred communications professionals. The winning campaigns represented the most successful national campaigns in marketing communications. Entries for the 2015 Effie Awards Ukraine were submitted in 31 categories. The jury was comprised of approximately 150 marketing specialists working in advertising, top managers of communication agencies, media experts, researchers, and consultants. The jury was headed by Nataliya Koshevaya, Marketing and E-commerce Director and a member of the Board of Directors at COMFY. View more photos from celebration here.